Who doesn’t want a dose of comedic medicine to brighten up their day? Be it slapstick, satire, truth-to-power banter, or a squirm-inducing roast—well, great! Stand-up comedy is the new kid on the block and a popular one at that! With the online revolution bringing the likes of comic sensations like Russell Peters on our portable screens, it wasn’t just cool gigs and a buzzword anymore, India was ready to laugh! But there was still a catch. 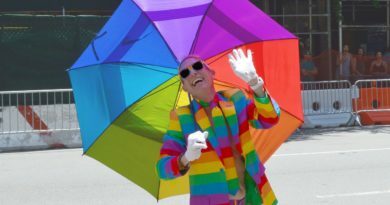 Comedy, be it stand up gigs or social media content had always been projected as a “guy” thing and while the sudden wave on social media had thrust several talented comedians into immediate limelight – sexism was quite evident. Which is why, shows like “Queens of Comedy”, appear almost like a welcome bout of fresh air. This show aims to give women comics a platform and an opportunity to truly unearth what feminine comedy could look like. It also gets another brownie point for placing Indian women comics in a setting outside of a local open mic where it does not feel like they are only a mandatory female fill-in. Despite the bleak statistics, there are a few women, who against the odds, have successfully broken the glass ceiling taking the stand-up comedy world by storm! Captivating the audience with their quick wit, they are defiant against the unwritten rules of society and deliver genuine comic content that leave the audience in splits! 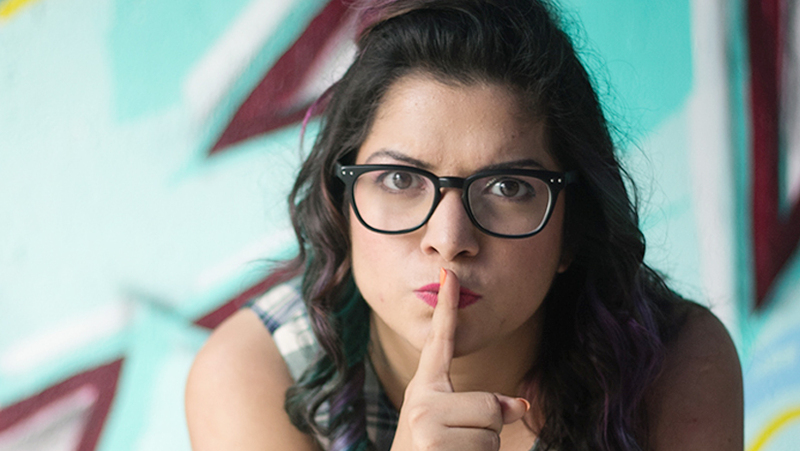 Here are some of India’s best comedians who simply happen to be women! Hilarious and uninhibited, Aditti Mittal is quite justifiably the first women to penetrate the male dominated stand-up comedy scenario in India. Her signature sarcastic and witty take on “women and their problems” have always been at the top of her best performing acts earning her the title of “India’s top 10 stand-up comedians” by The Times of India. She is also an integral part of the American Documentary, Stand-up planet, which is a stand-up comic’s quest to find some of the best humor coming from corners of the developing world. This not only exhibits her talent, but also emphasises on the phrase, “Empowered women, empower women”. Radhika Vaz, known for her unmatched comic timing is another force to be reckoned with. Her comic acts are often a unabashed and hilarious take on her life experiences, often subtly providing an underlying hint of the unfair disparity against women comedians. It is safe to say that, she effortlessly destroys many female stereotypes with brazen references to unspoken topics with her “unladylike charm”. 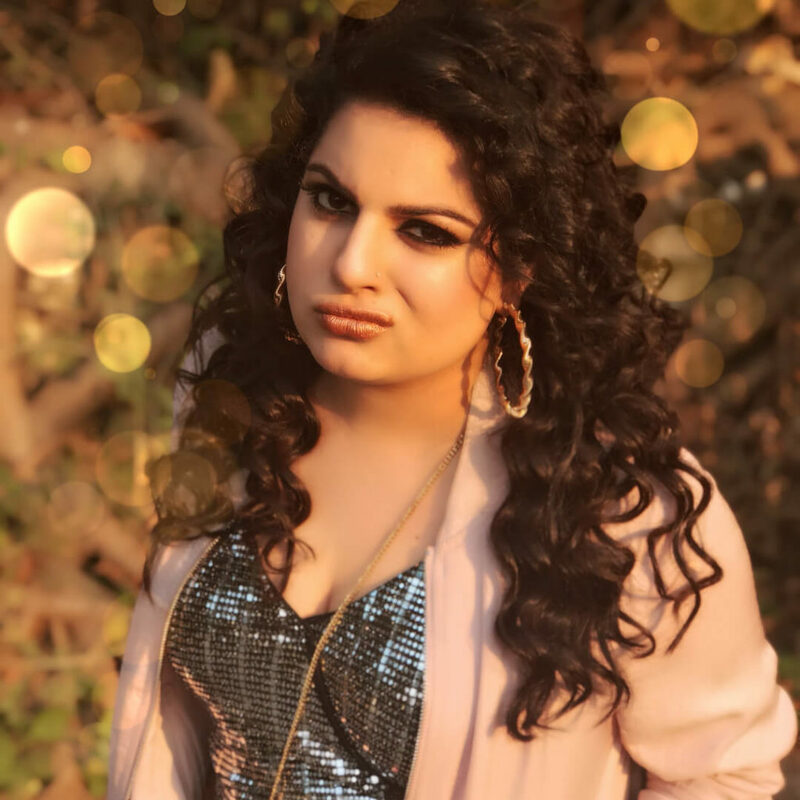 Mallika Dua, stands among those few courageous women who decided to take the plunge, only to pursue her interest in an unladylike profession that society called stand-up comedy! She became a raging internet sensation though her various stints on social media including her super funny Snapchat characters (Make-up didi and her cousins). She makes the best use of her obvious Punjabi-ness and it’s a real treat to watch! To say that, comedy runs in her genes would hardly be an understatement. Known to serve an unique style of sarcasm, this feminist comedian puts the C in comedy, giving a face to English stand-up comedy for women !From current issues to mundane daily life irritants, her super funny take on everything Indian brings a whole new female-specific perspective brand of humour to a variety of subjects. 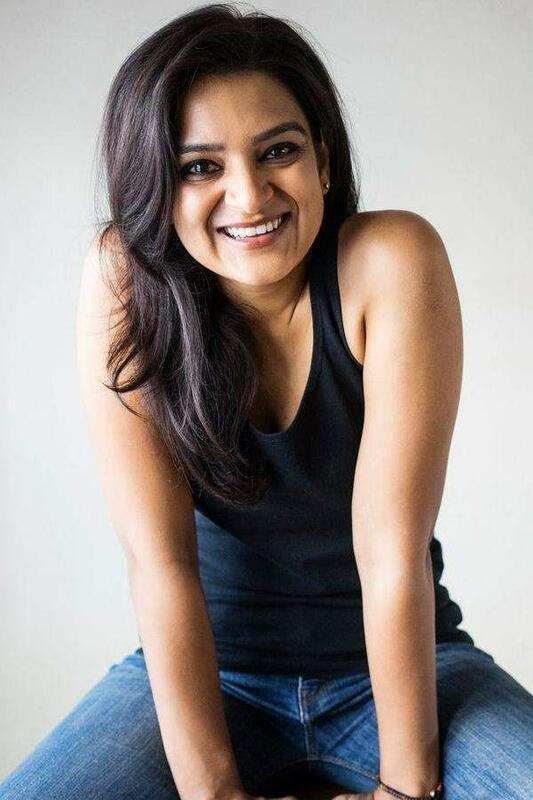 Palta was also the first Indian comedian to perform at Melbourne for the prestigious Melbourne Comedy Festival 2013, a feat that has significantly earned her respect among her other male counterparts. 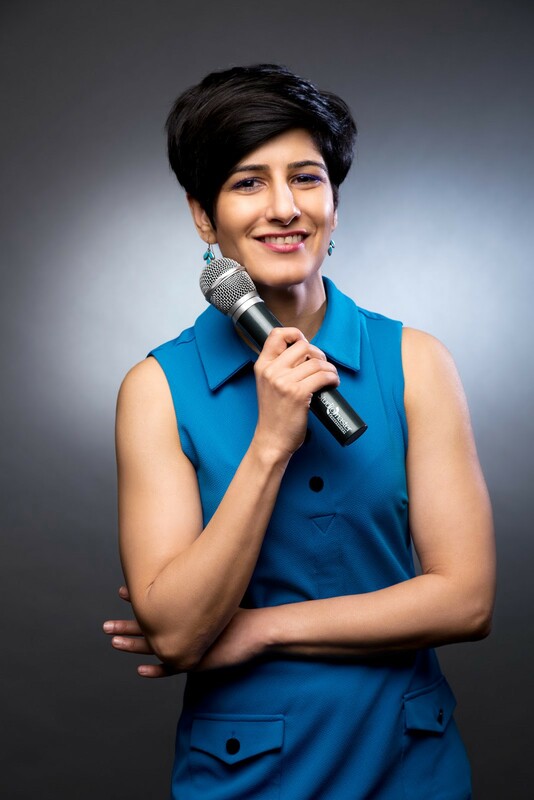 If we had spoken about courageous women, daring to break the monotony of a stable job in pursuit of stand-up comedy, Kaneez had crossed oceans to pursue her comic career in Mumbai. 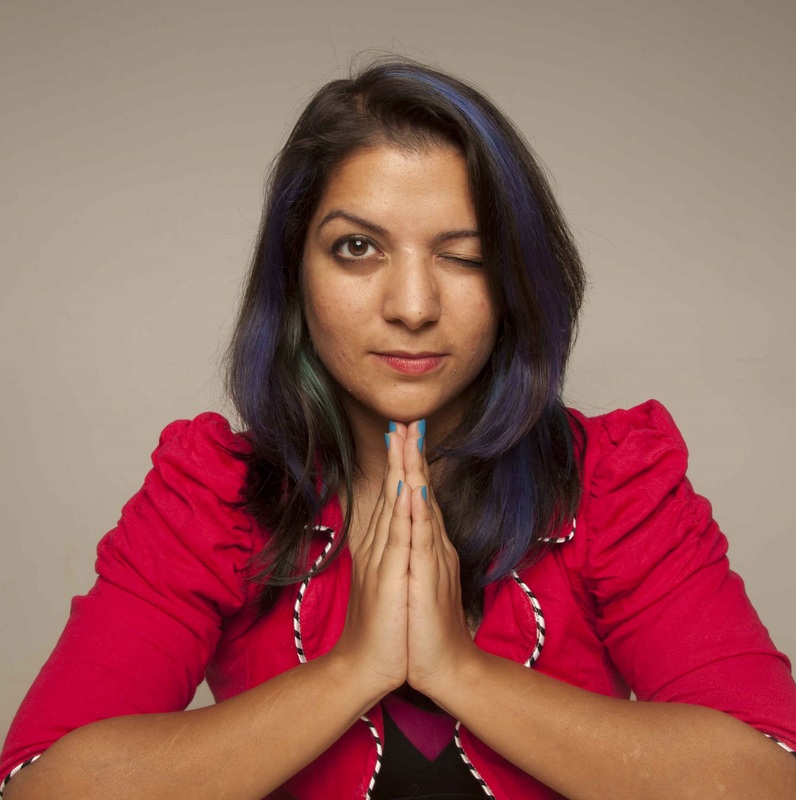 One of the first Indian women comedians to do improv, originally hails from South Africa. She had fallen in love with the city and had slowly built her career along the likes of other well-known Improvisers like Kenneth Sebastian, Abish Mathew and Kanan Gill. So now when you look around, you see that Indian women comics are already making it clear that they’re able and willing to experiment. And while it is exciting enough to see more women entering stand-up, perhaps the real prize will be to see what women are able to do with it. Aishwarya Ganesh is a Instagram blogger and Social Media Strategist passionate in the field of Self Growth, Lifestyle and empowering the Indian Woman. She believes in the concept of "Beauty with a Purpose"